A well-kept, lush, green lawn around the house is certainly an asset that most homeowners dream about – seeing a great lawn around your home whenever you look out the window has a calming effect on stressed nerve, the soft, green grass can reduce the temperature around your home and add moisture to the air, thus making your home environment more pleasant and the lawn is also great for playing and socializing. However, a great lawn needs lots of watering and lawn watering can be not only tedious and time-consuming, but costly as well. 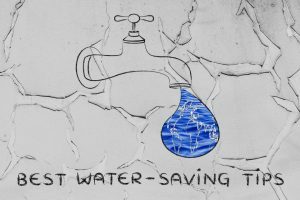 These factors, along with Colorado’s limited supplies of water, have made lawn owners and lawn experts look for ways that could save them not only energy, but water as well, so here are some tips of maintaining the beauty and the health of your turf with less water. 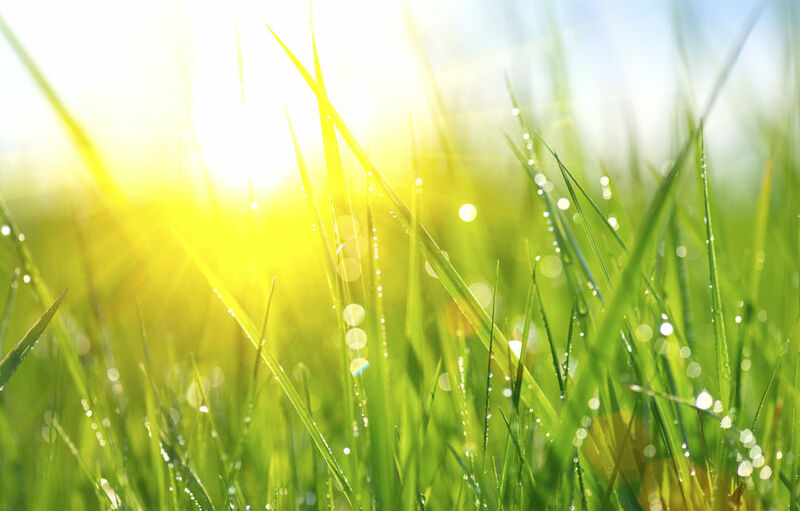 Cutting the grass too short exposes too much of the soil to the heat of the sun, which also means that short grass needs more watering than longer leaves. Short plants also have weaker, smaller roots that retain less water than larger roots, which also accelerates the drying process and requires you use more water if you want to maintain the quality of your lawn. The best height for your lawn mower blades is near the highest setting, that way you can make sure that the surface of the soil stays moist even when the sun is scorching and that your grass will grow large, strong, healthy roots that can lock in moisture for longer. The clippings that your lawn mower cuts off contain lots of precious moisture that is lost if you bag it all right after the mowing. Leave the short particles on your grass for a few days after mowing – the method will return precious moisture to your soil and turf. The short clippings will keep moisturizing your grass for a few days – you can gather them for bagging when you see that they have dried properly. Nourishing your lawn properly is essential for preserving its beauty its health and it is also a great way to lock in more moisture. The right type and best lawn fertilizer will not only make the necessary nutrients available for your plants, but will also improve the quality of the soil, enabling it to retain water for longer and to resist even longer periods of heat stress. The best type of fertilizer to use is compost, that is, organic fertilizer made from organic waste – you can collect the residues generated during cooking in your home, put it all in a large bin, watering it and turning it over occasionally, until it all turns into a nutrient-rich, natural, safe and efficient fertilizer. Watering when it is very hot outside and the sun is high up is not only a waste of water – it is also damaging for your lawn. Make sure you water your lawn in the morning or at night, when the temperature of the grass and of the water are closer to each other and pay attention to direct your sprinklers only towards the lawn and not towards the adjacent driveway or paths to avoid wasting water. Kitchen cabinetry is more than space created for storing pans, pots, cutlery, plates and appliances in the kitchen – it is also the component that defines the entire look of your kitchen, a strong statement of style that you make about yourself and about what you expect of your home. Whether you prefer classic designs, with all-white cabinets or you love color and pattern, whether you love modern design solutions or you go for the rugged classic, with these new styles in kitchen cabinetry, you will surely find the inspiration you have been looking for in the process of recreating your kitchen space. Oak cabinets used to be all the rage from the 1970’s through the 1990’s and they are gaining popularity these days again. Oak is warm and rugged, perfect for rustic, vintage or country-style kitchens, but not only – the material is nowadays used in ways that exudes warmth while also adding a sleek modern touch, so it really works great in any setting. The colors most featured in kitchen cabinets used to be white, beige, light blue and pale green and grey, but this is no longer the case. Neutral colors are still trendy – these timeless hues will never go out of fashion –, but the palette of popular cabinet colors now also includes powerful, vibrant colors, such as shades of red, orange, blue and yellow, anthracite, onyx, even black. However, if a colorful kitchen is what appeals the most to you, be careful to balance out powerful colors with neutral ones, otherwise you risk compromising harmony. Straight lines that lack ornamental elements, sleek, simple knobs and handles that move smoothly opening and closing doors and cabinets, smart cabinet hardware that maximizes even the smallest space are also among the hottest trends in kitchen cabinet design. Denver cabinets showrooms have wide selections with the latest trends. Using cabinets made from two or three different materials is a great way to delimit space and to create a playful space. A fir or oak finish on one cabinet can be stylishly combined with a cabinet that features a strong color and a shiny acryl finish will surely spice up the look of your entire kitchen. Stainless steel is also becoming increasingly popular these days. It can be used on the sides of the existing cabinetry, it makes excellent racks, handles and knobs and it can create a great harmonious appearance next to large appliances in the kitchens, such as dishwashing machines that also come in varieties fitted with stainless steel doors. Glossy cabinet doors reflect the light in a special way and they create the illusion of a larger and brighter kitchen. 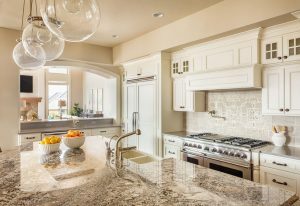 Glossy surfaces need a gentle approach when it comes to cleaning – they usually scratch more easily than matte finishes, so no harsh scrubbing or abrasive materials are allowed –, but that is about the only restriction, far outweighed by the cheerful, attractive, vibrant looks that your glossy cabinets will add to your kitchen. The Main Advantages of an Outdoor Kitchen – Why Are Outdoor Kitchen Areas so Popular Today? When considering the many advantages of an outdoor kitchen, most people are instantly able to see the reason why they might want this type of installation. Those who have the money might even call up their contractors immediately to ask about an offer and schedule a meeting to determine the design. However, before you jump in and ask your contractor for an estimate, it’s important to first look at why experts would even recommend an outdoor kitchen and dining area. What are the practical benefits? And are there any advantages that most wouldn’t even consider? An outdoor kitchen can bring you many possible benefits, such as the fact that it will allow you to have a lot of fun cooking outside. Additionally, there will be no more smoke and bad odor to worry about, and the temperature in your home will be reduced, since your oven and stove won’t be working overtime. Cooking outside can also be turned into a family event, especially if you have a barbecue. A fun weekend barbecue with your kids and spouse – and even some of your best friends that you might invite over – can be great if you enjoy social gatherings. Another advantage is that an outdoor kitchen can be set up with a minimal amount of money. There’s no need to invest thousands of dollars, although that is an option too. Instead, you can simply buy a cheap stove and barbecue grill, get some second hand countertops and have them fixed up, and add a few quaint decoration items to make everything look better. You can even get really creative with everything you’re doing. Finally, an outdoor kitchen and dining area will allow you to throw fun parties and invite guests over without worrying about bothering members of your household. You can even set up a music system and a dancing area nearby, so you’ll be fully ready to throw the most awesome parties with your friends. What many don’t know is that even with a more expensive outdoor kitchen – which will typically cost you up to $10,000 – you can still get a better profit on selling your home. 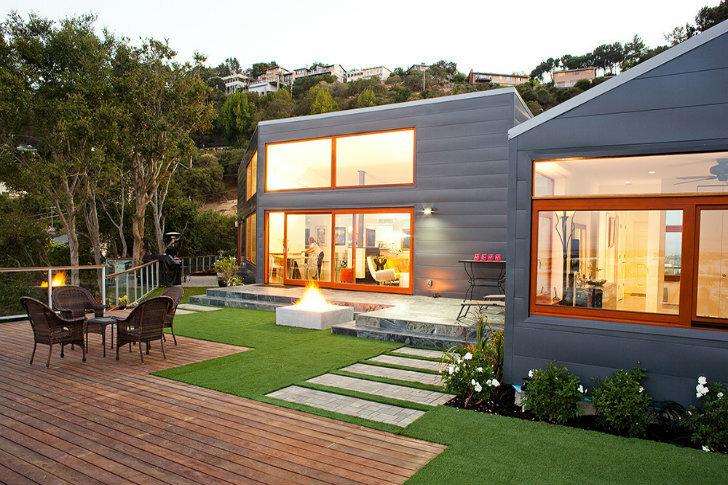 The idea is that buyers put a lot of emphasis on exterior appearance and curb appeal. Nothing says curb appeal better than adding a lavishing, luxury outdoor furniture Denver design for your outdoor kitchen. Because of improved curb appeal, you are likely to get more interested prospects and clients, and you might even have some of them fighting to present you with a higher offer. Your realtor will likely confirm that this is often the case, especially since outdoor kitchens have experienced a surge in popularity during the past couple of years. As you can see, there are plenty of great advantages of an outdoor kitchen to consider, many of them being quite practical and not solely related to the design of your kitchen area. In fact, experts will tell you that the best kitchens are those that you can use for a long time to come, even if they are slightly on the expensive side. If you have been watering, mowing, thatching and fertilizing your lawn with care, but you are still not happy with the results, here are a few tips about how to make grass green and how to keep it green as well. If you use your lawn not only to delight you when you look at it, but you also walk on it and you have kids and pets who play and run on it, too, the soil beneath the turf can get compacted over time and mowing can also increase compaction. Compacted soil prevents the circulation of air and water and it can lead to improper nutrient absorption as well. The issue is easy to get rid of, though – all you need is a device or a machine with which you can poke 3-inch deep holes into the soil once a year. You can use a handheld lawn aerating tool or you can buy or rent a larger aerating machine. Deep and less frequent watering sessions are more likely to keep your lawn healthy than short, frequent and superficial watering. Deeper and rarer watering will prompt your grass to grow deeper roots, which will help the grass stay green even during hot spells because deeper roots provide the blades access to moisture and nutrients even when they are not available in the higher layers of the soil. The best way to ensure deep watering is to apply 1 inch of water on your turf once a week, preferably early in the morning. To make sure you have watered the lawn sufficiently, distribute a series of shallow containers across your lawn, then turn on your sprinklers and stop them when the water in the containers reaches the desired amount. You know when you have to water the lawn again when the top 3-4 inches become dry. Choose natural fertilizers instead of synthetic chemicals because they are better for your turf as well as for your environment. Beside the organic and natural fertilizers available in specialty shops, you can also use natural compost made from your kitchen and garden waste – it is an excellent, safe, cheap and efficient fertilizing method and it will also keep the waste that you generate in the house to the minimum. According to Denver landscaping companies, cutting your grass too short or leaving it to grow too long is equally harmful for your turf. Different glass varieties have different requirements in terms of lawn height, so make sure you set the blades on your machine to the height recommended in the care instructions of the grass variety that you use. Make sure the blades on your mower are sharp to improve the efficiency of the cutting process and to prevent damage to the grass blades. If you follow these simple steps in our short guide about how to make grass green, your lawn will surely be grateful and will reward your efforts by growing blades of grass that are greener, stronger and healthier than in any other garden in your neighborhood. 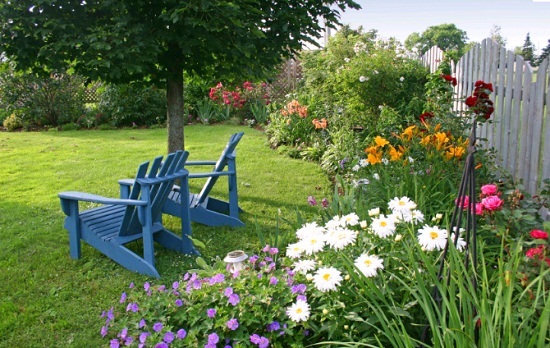 Gardening tips for home improvement. Cultivating plants has its benefits. Not only do you get healthy fresh food but also chores related to gardening such as watering, tilling, weeding, etc. are a daily exercise regimen. Every home has at least a small vacant plot. 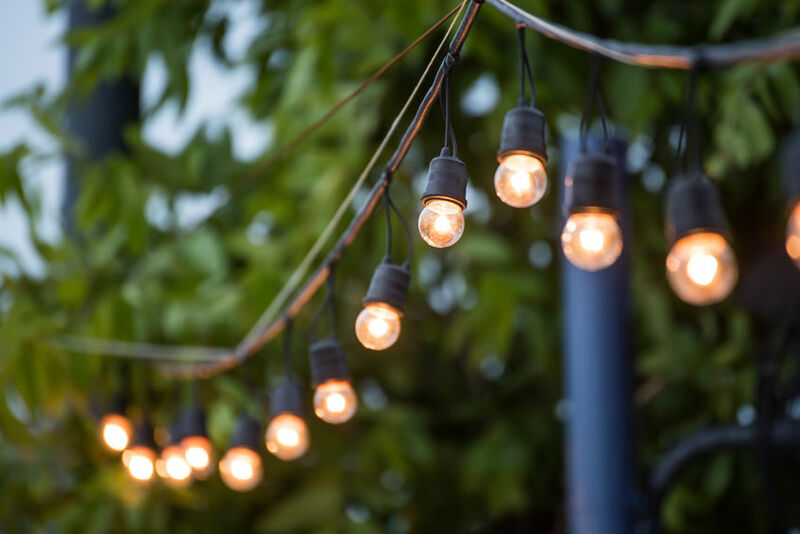 With some tips on how to maintain your outdoor space, you can add extra positivity to your home and increase its functionality. Always divide your plot into two. One-half of the land can be used for planting vegetables, the other half for flowering plants. 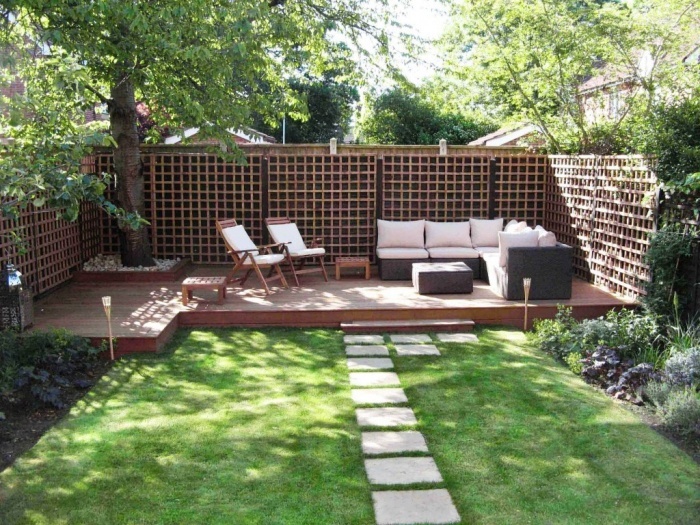 It’s always good to construct a wall or a fence around your plot so that random people wouldn’t walk into your plot. Run a creeper or a wildflower through the wall or fence. If your plot is too small, plant small, wide bushes to the sides of the gate. This makes the plot appear big. Try to leave the center plot empty. Do not crowd the center space with a lot of plants. Plant towards the sides of your fence. This provides an illusion that your plot is larger than it is. Fix a normally sized mirror to the wall. Mirrors make the plot look larger. If your plot is large, create a water feature like a bird bath right in the center. This adds creativity to your garden. There is a simple hack to lighten your heavy pots. Fill half your pots with peanuts. Place fabric over the peanuts and fill soil. Plant over the ground. This helps you to transport your containers and makes a rearrangement of your garden easier. An effective way to remove pests. Spraying chemicals to get rid of pests is not a good alternative until you have heard about this natural substitute. Fill a can with beer and bury it in the soil. The odor attracts the slugs, and they end up getting drowned in the beer. You can throw out the remains the next day and fill it with a clean batch. Spraying vinegar over plants keeps away snails. Lemon water spray keeps away aphids from attacking plants. Buy milky spores and spray it over plants to prevent grubs. The vertical garden can be created in homes with decidedly less outdoor space. One side of the wall or fence can be converted into a vertical garden. Arrange racks horizontally one below the other in straight lines. Using pots, plant flowering plants or shrubs. Old plastic bottles can also be recycled to make vertical gardens. Energy proofing a house can potentially cut your annual utility bills by up to half. This article covers breaking down your energy costs, how to audit and reduce your heating and cooling costs (especially while using larger appliances). Firstly, homeowners need to understand what they are paying for when they pay their utility bills. Around fifty percent of utility bills result from energy usage for heating and cooling the home. You can form a whole house efficiency plan once you appoint priorities to your energy needs and follow it accordingly. An energy audit a great way to figure out if major heating or cooling systems in the house need updating or even replacement. Buying a new heating or cooling system will save you money years in the future and also raise the value of the home, even if it seems a steep investment. Another great way to cut energy costs is to take advantage of heat from the sun. Open shades around the house during the day and close these shades when the sun goes down to keep the heat from escaping. Install a programmable thermostat as it lets you lower the thermostat during periods when no one is home or when people are asleep. It can help save as much as 10 percent of your bills a year. Also, remember if the air conditioner is too big for the room it will be less efficient than a smaller adequately sized unit. This is because room units work better and use energy more efficiently if they run for a relatively long period than if they are continuously being switched on and off. Larger appliances such as washers, dryers, stoves and refrigerators are the top reasons for energy wastage. Replacing old or run-down devices instead of just repairing them is a smart investment in the long run. For example, about 80 percent to 85 percent of the energy used for washing clothes goes towards heating the water. There are two ways to reduce the energy used in washing laundry: use less water and use cooler water. Unless you have oily stains, the warm or cold water setting on your machine will usually get the job done. Switching your temperature setting to warm can cut energy use in half. Also, be conscious of proper positioning of the equipment as well. For example, don’t put heat-producing stoves next to refrigerators that produce cold. Switch off your computer monitor during long periods of non-use. The monitor uses more than half of the system’s energy. Unplug battery chargers when they not in use. Chargers for cell phones, laptops, and other wireless devices use lots of energy even when they aren’t charging their devices. Don’t leave the lights on and turn off lights any time you aren’t in the room. You can also install timers or motion sensors to reduce the amount of time your lights are switched on. Copyright © 2018 cnbestpump.com. All rights reserved.